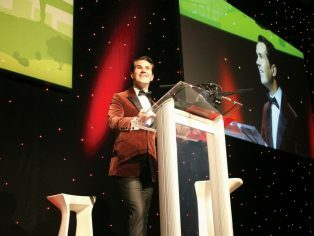 The most prestigious evening in the industry diary returned to the Ricoh on the 12th September. 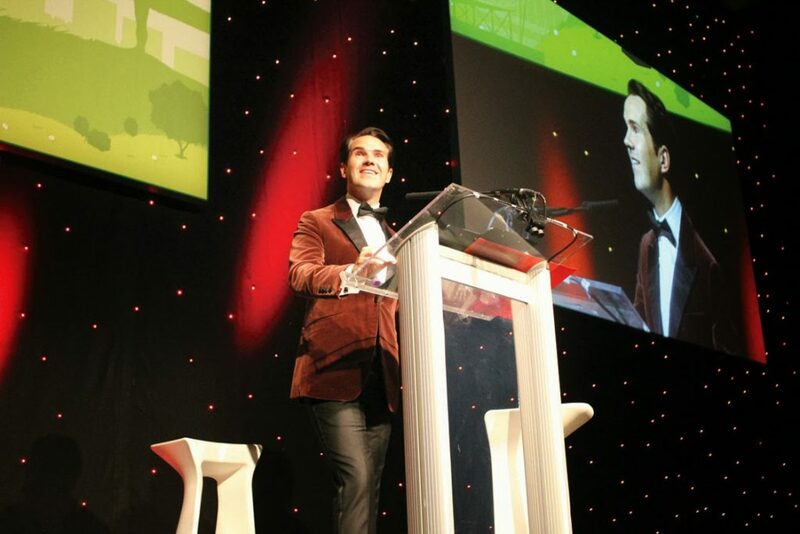 800 heavy-hitters enjoyed themselves as host Nick Hewer and comedian Jimmy Carr took to the stage for the Energy Efficiency & Renewables Awards supported by NatWest. Having established itself in recent years as ‘the one to win’, scores of successful, shortlisted businesses eagerly anticipated the announcement of the award winners. Winners included John Felgate of Stiebel Eltron who won the Contribution to Energy Efficiency and Wilo’s Yonos-Picos, which won the Green Innovation category. There was a host of awards for people, projects & products, but as always it was installing businesses that took centre stage, with the ultimate accolade, Energy Efficient Installer of the year, sponsored by Plumb Center, going to Glevum Heating from Gloucestershire.